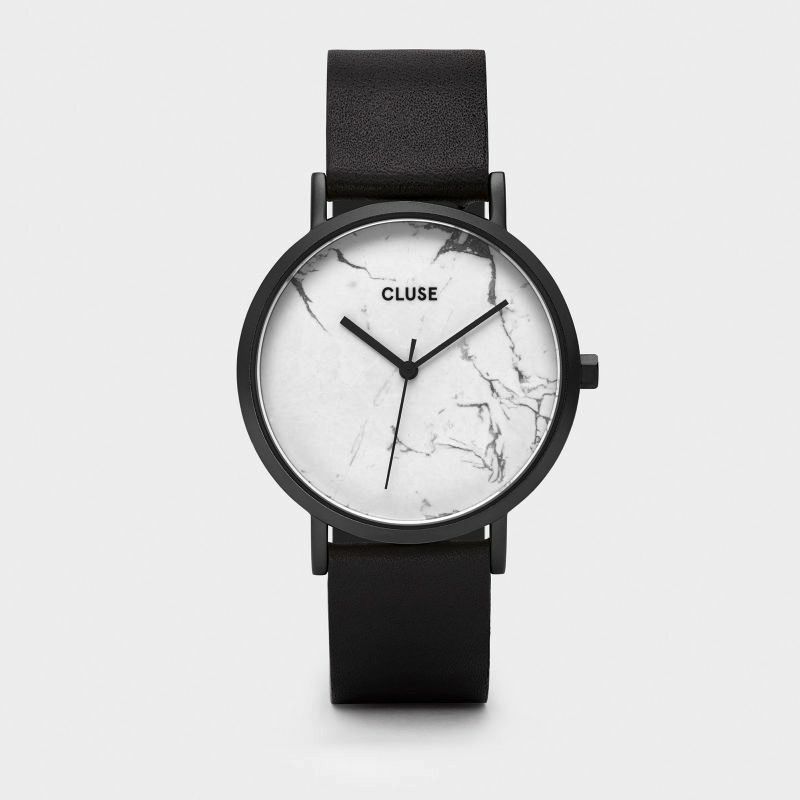 Designed as a tribute to one's uniqueness, this CLUSE La Roche watch features a genuine white marble dial, produced from a raw stone. 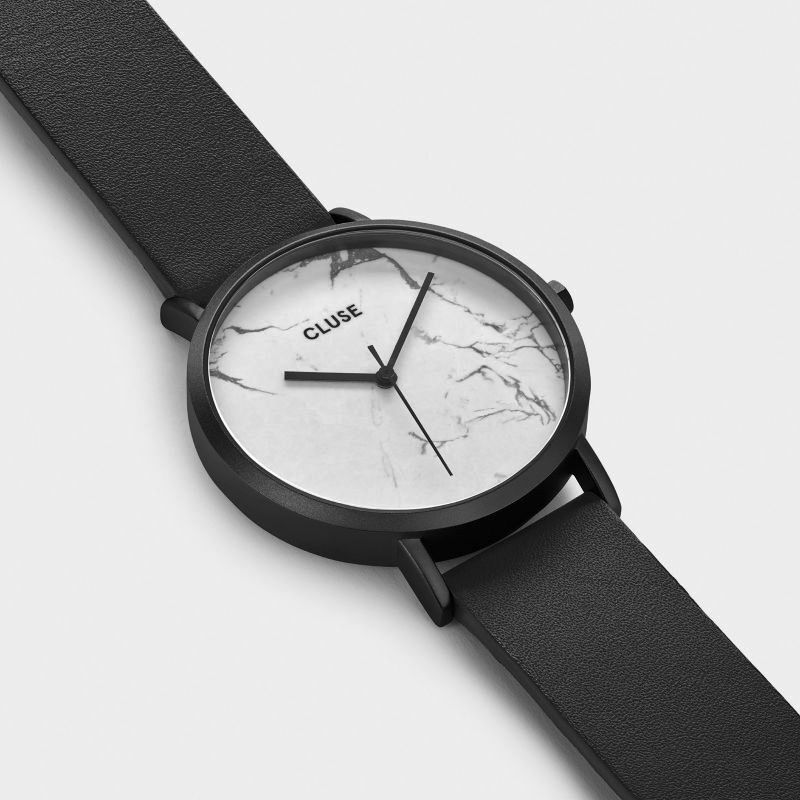 Every piece of marble is one of a kind with a natural veining pattern, which makes each La Roche timepiece entirely unique. 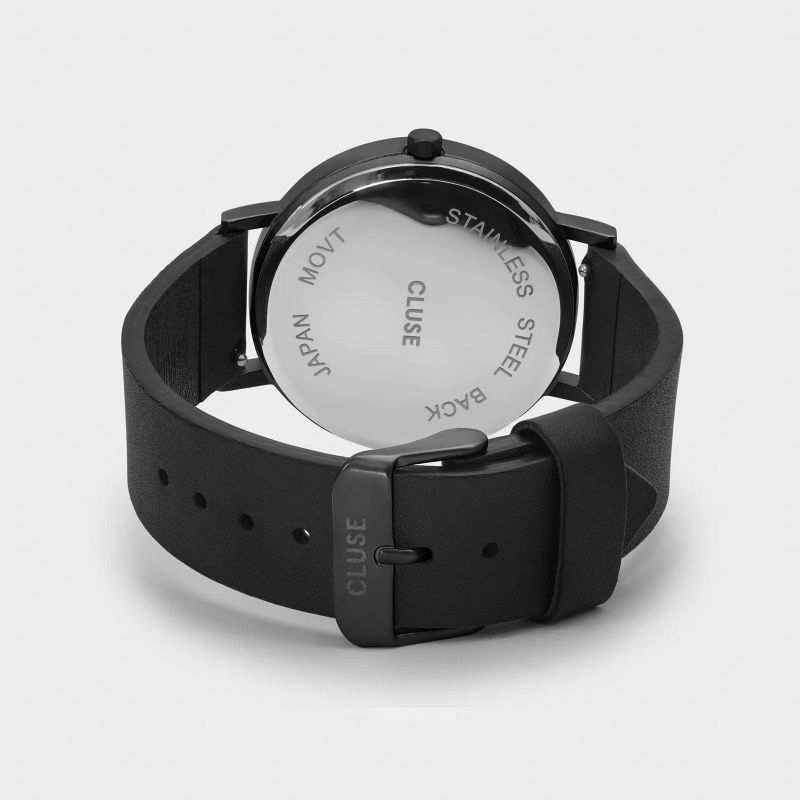 Loyal to our minimal aesthetic, this collection features a 38 mm case with a matte black finish and a black leather strap for a bold and stylish look.